Izannah Walker Chronicles: Are You Thankful? 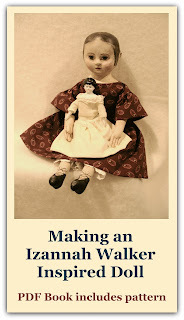 Izannah lovers are helping to develop a great list of museums and shops where original Izannah Walker dolls are available for a visit. Hi there... Love your blog. 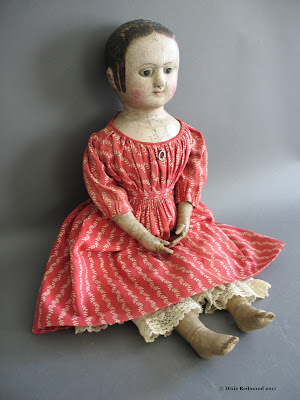 I know nothing about Izannah Walker dolls, but have fond memories of a doll museum I used to visit near where I grew up in Southern California. The building is a 1/2 scale replica of the White House. Really neat - they don't have a website and there were so close to closing their doors last year. They might be worth contacting. I found the number online as 714) 527 2323. I hope that helps some in your search!